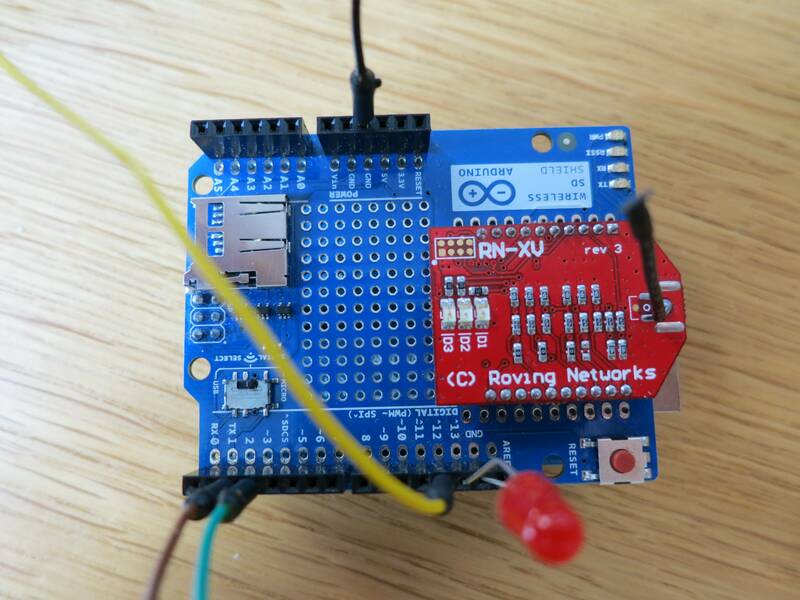 You may have seen my recent blog post about building a Phone-controlled Robot using Twilio. Since then, I’ve had ideas for new Twilio + Arduino mashups pouring in from the community. Today is the second post in our new series of Twilio Hardware mashups – build your own home automation solution using Twilio SMS, PowerSwitch, Arduino, and PusherApp. Last week I left the A/C in my apartment on while at work. All day, I was wishing I had remembered to turn it off for the sake of my electric bill. But alas, I was out of luck. If only my A/C were able to be controlled from some sort of distributed network. Lucky for me, Al Gore invented the Internet (100% better than ARPANET for home automation). While there are consumer home automation utilities out there such as Belkin’s WeMo, I decided that it would be more interesting and enjoyable to build my own. It would have been selfish of me to keep this to myself, so I wrote it up in the tutorial for the good of the internets. As we release more of these tutorials, you’ll notice that some have more complex hardware and some have more complex software – I’ll do my best to keep them varied and interesting for all of you amazing hardware hackers out there. For those of you looking for the flying robot that Techcrunch mentioned…don’t worry, its coming. When you finish this tutorial, you will be able to turn on and off a power outlet using Twilio SMS or a simple web application. Also, please note that electricity is dangerous – I recommend that you don’t crack open your PowerSwitch, it is designed to safely handle 120vac power but human bodies are not. That being said, lets jump right in! Note that the one part you do not need is the FTDI Cable, but I found it very useful for debugging my Arduino over alternative Serial pins while using the WiFly chip, which takes over the standard hardware Serial. The hardware setup is pretty basic and requires no soldering. The first few steps are very similar to the robot tutorial as they cover basic initial setup – feel free to skip to Step 3 if you’re comfortable setting up an Arduino. 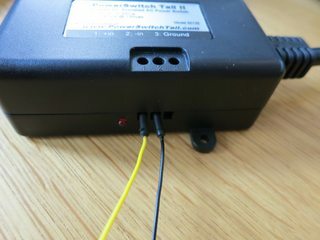 Step 3: Plug a yellow cable into digital pin 12 and a black cable into GND – these are to connect your Arduino to the PowerSwitch. Then use your flat-head screwdriver to secure the cables in your PowerSwitch. Step 4: Plug the other end of the yellow cable into +in (pin 1) on the PowerSwitch and the other end of the black cable into -in (pin 2) on the PowerSwitch. 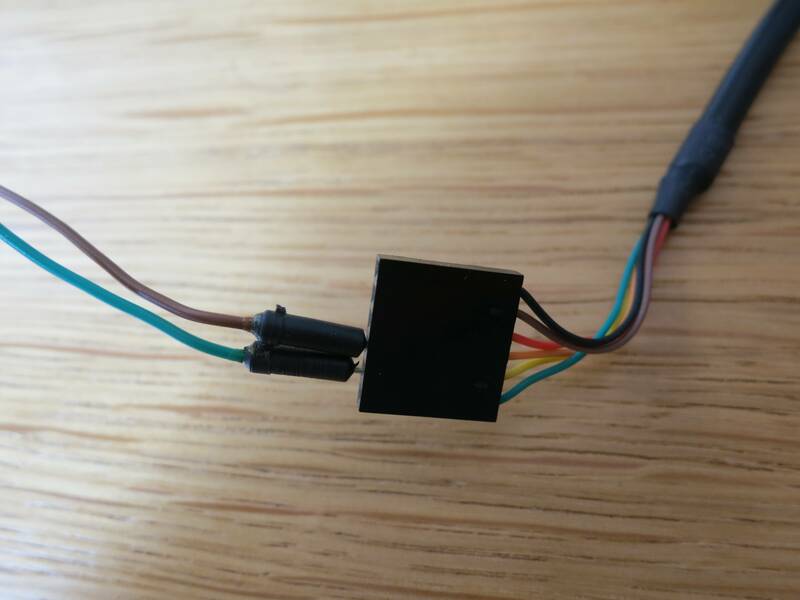 Step 5 (Optional): Plug a green cable into digital pin 3 on the Arduino and a brown cable into digital pin 2 – these are to connect to your FTDI Cable for SoftwareSerial debugging. Step 6 (Optional): Plug the other end of the green cable into the port where the FTDI cable’s yellow wire ends (RX). The other end of the brown cable goes next to it, where the FTDI cable’s orange wire ends (TX). These are the 2nd and 3rd from the green end of the FTDI cable. Step 7: Plug the RN-XV WiFly into the slot on the Wireless SD Shield. 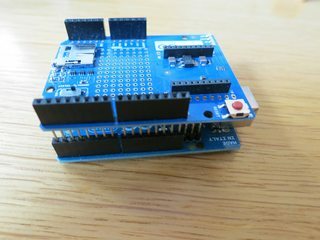 You may wish to postpone this step until you have uploaded your sketch onto the Arduino – the WiFly chip can interfere with the sketch upload. Step 8: Plug the device that you wish to control (I’m controlling these awesome Woot-off lights) into the PowerSwitch and plug the PowerSwitch into an outlet. Your hardware setup is now completed! Firstly, you will need the Arduino software to download your code onto your chip. Then you will need some libraries to communicate with your RN-XV WiFly chip. For this tutorial, I decided to use the WiFlyHQ library by harlequin-tech and to borrow their examples as a boilerplate. This library allows the Arduino to connect to a WiFi network via the RN-XV module. We then connect to the Pusher service which will trigger an event when an SMS is received or a form button is clicked on a website. I used Pusher rather than a simple TCP server because I found it easier to debug and more stable, I also wanted to experiment with using Arduino and WebSockets. In order to get the Arduino to connect to Pusher successfully, I forked krohling‘s ArduinoPusherClient (designed for the Ethernet shield) and modified it to work with the WiFlyHQ library. I also included the WiFlyHQ library in my repo for ease of use so you do not need to download them separately. The beginning of this sketch is straightforward – we initialize our output pins for the PowerSwitch and our status LED, and we initialize our WiFly to ready it for instructions. I am using SoftwareSerial as a workaround to get debug output while the RN-XV occupies the hardware Serial pins (0/1) that the Arduino normally uses for debug output. You will need to put in your WiFi credentials and Pusher API key in the defines at the top of this sketch. Next you can go ahead and add the following code to the end of our setup() function. This snippet joins a WiFi network and then connects to pusher, subscribing to our robot_channel channel. It then binds to the powersms event which will be triggered upon receiving an SMS. You can now upload your sketch to the Arduino using the included USB cable (plug the fat end into the Arduino and the USB end into your computer) and then plug in the RN-XV module if you have not done so already! You can find the full sketch file here for reference. (Optional): In order to get debug output from your FTDI cable via SoftwareSerial, you will need to install the FTDI Drivers first. You will want the VCP version of the drivers. In this snippet we are setting up our Pusher configuration variables and including necessary gems. We will set up the environment variables later when we push to Heroku. Next we can go ahead and set up our ‘/control/’ route, which receives incoming SMS or form submissions from our basic web page. You’ll notice that we output errors to TwiML SMS or web depending on how your request was submitted. Now that our scripts are complete, we can retrieve our Pusher account credentials, set up our Twilio number, and push our app to Heroku. First things first, you will need to install the Heroku Toolbelt, which includes git and heroku. If you have never used Heroku before, I recommend checking out Heroku’s Getting Started document that shows you how to set up an account and log in for the first time. When your git push is finished executing, you should see a line similar to this: “http://blazing-galaxy-997.herokuapp.com deployed to Heroku” – that gives you the URL of your new Heroku application. Take this URL, add /control/ to the end, and enter it into the SMS Callback URL for your Twilio phone number. 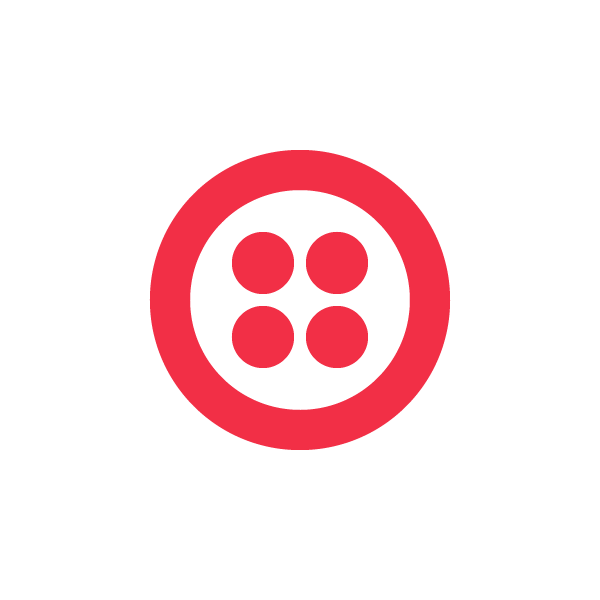 If you are brand new to Twilio I recommend watching our SMS Quickstart Screencast which shows you how to buy a number for the first time. And last but not least you need to set up some Heroku environment variables. 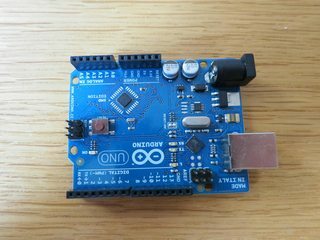 First, you should go back to your Arduino sketch and update your pusherKey variable with the information from your Pusher dashboard. Now you should be all set to go. 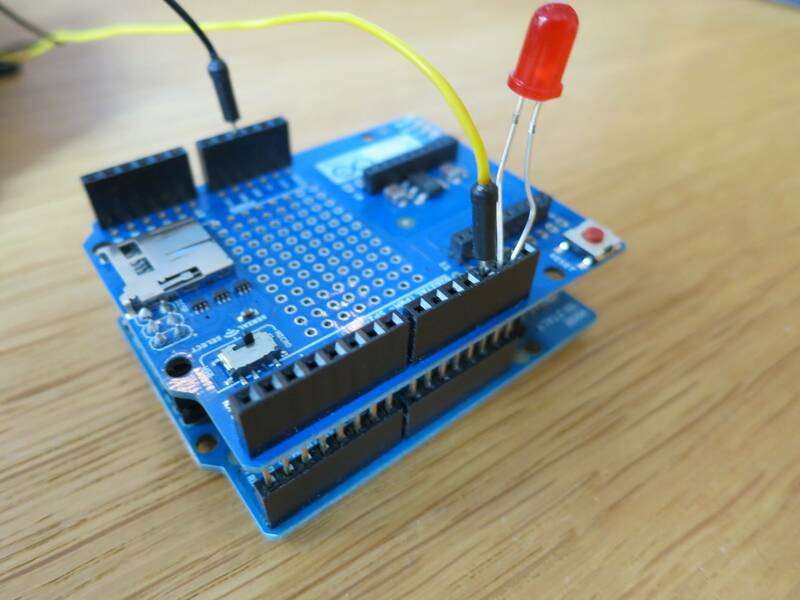 You can head over to your Heroku URL and should see the form to turn your Arduino on and off. 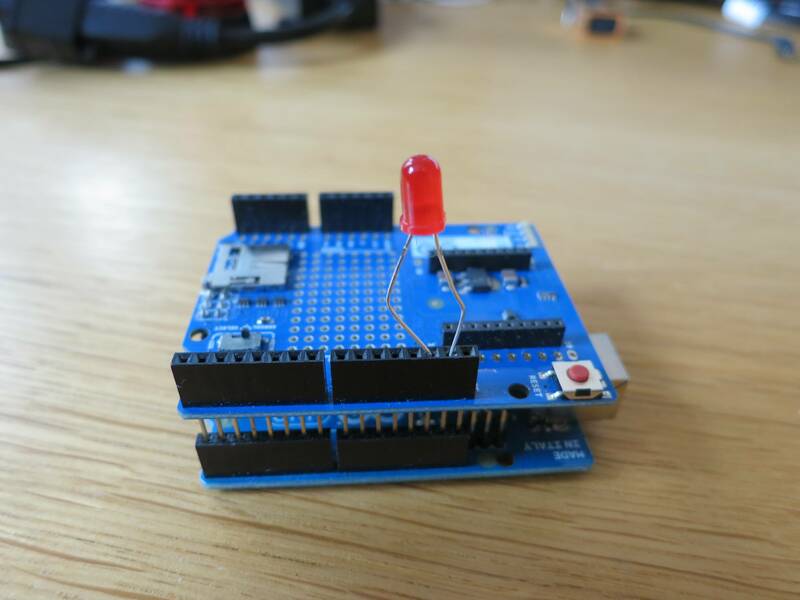 If you’re curious about whether the Arduino is actually connecting to Pusher, you can use your Serial Monitor for debug information or use the Pusher Debug console for information on their end. 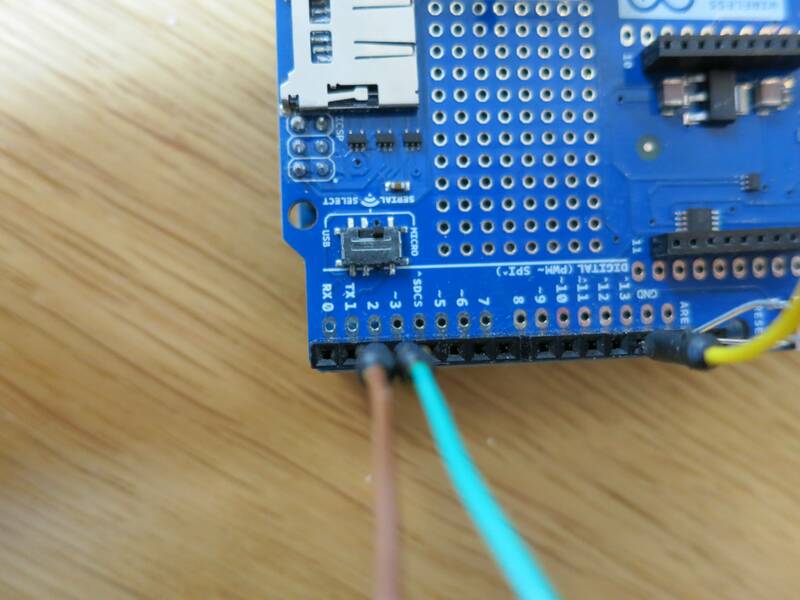 As I mentioned throughout the tutorial, you can use your FTDI cable as an alternate Serial port to get debugging output from your Arduino. In order to do this, you will need to follow the optional wiring steps above, and then plug the USB end of the FTDI cable into your computer after installing the FTDI USB driver. 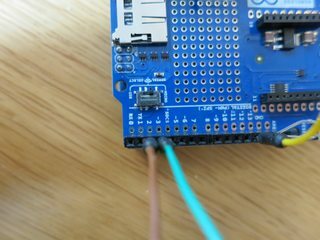 To see the output, have your Arduino plugged into your computer via both the included USB cable (for downloading sketches) and the FTDI cable. Then, when you are in your Arduino IDE (the Arduino should be on), go to the Tools menu, then the Serial Port submenu, and select /dev/tty.usbserial-##### – this is the FTDI USB port. Then, under the Tools menu select Serial Monitor. 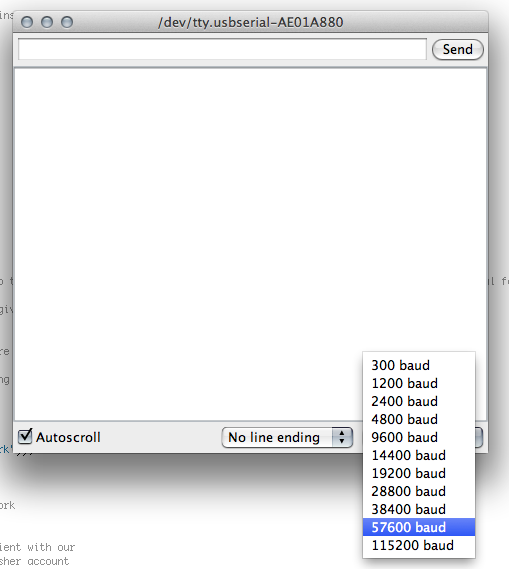 On the bottom of this window, where it says 9600 baud by default, change it so that 57600 baud is selected. Then, when you restart your Arduino you should start seeing debug output! Note that if you need to download an updated sketch, you will need to change the selected Serial Port under the Tools menu back to tty.usbmodem### (uploader) instead of tty.usbserial (debugger) before attempting to upload your sketch. You may also need to remove the RN-XV or flip the small switch on the Wireless SD shield from Micro to USB in order to upload a new sketch onto your board. You can find the full source for this project on GitHub at jonmarkgo/TwilioPowerOutlet and the required libraries at jonmarkgo/ArduinoPusherClient. 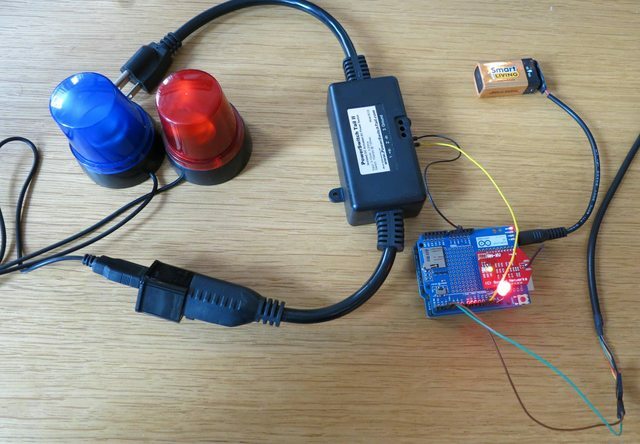 I’d like to see you go out and build your own home automation solutions using Twilio and Arduino!